Millennium Metalcraft uses the newest technologies available to produce our top quality precision fabricated, machined, and finished parts and components. 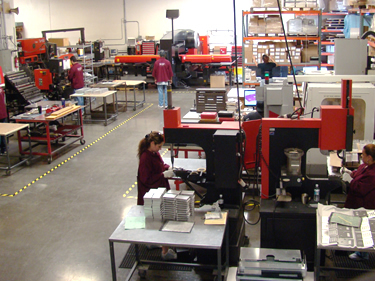 We continually upgrade our equipment to ensure the best possible precision and quality of our end products. 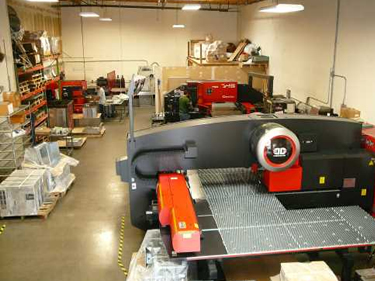 We utilize industry-best Amada equipment for sheetmetal fabrication. These state-of-the-art machines are the fastest, most precise, and most efficient on the market. Achieving and repeating tolerances we are capable of fabricating the most intricate and demanding sheetmetal product and with short lead-times. Our CNC machining and milling centers meet the stringent demands of even the most complex customer designs. We machine metal and plastic materials to produce components that match your exact specifications. Our machining equipment features built-in infrared sensors that provide CMM inspection quality control data throughout the production process maintaining our high standards of quality. Our fabrication and machining equipment utilizes compatible SolidWorks CAD programming software to ensure perfect adherence to our customers’ designs. Direct importing your model file data we ensure an accurate and repatable product. Our CAD/CAM compatibility also allows for design analyis with steamlines manufacturing to reduce cost and turnaround times. In-house wet painting and powder coating booths enable us to produce parts and components that are complete and ready to use upon delivery. Plating, anodizing, and other finishing processes are also available as your designs require. 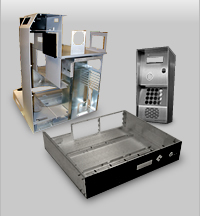 With the manufacturing capabilities available, Millennium Metalcraft is your one-stop shop for full service and complete sheetmetal fabrication. Please see our Photo Gallery.